The current “bright line test” for residential property tax came into effect in November 2015. The purpose of the “bright line test” is to act as a supplement to the existing “intention” test which is applied to property sales in order to ascertain if it is a taxable sale. The existing intention test in practice resulted in a lot of ambiguity, and the intention for the bright line test is to provide an objective test in conjunction with the intention test. Its application includes the sales of residential properties, where an agreement to sell was entered into either on or after 1 October 2015. One thing to note is that the agreement date is the applicable date, not the settlement date. This is particularly relevant for off-the-plan sales which are becoming more and more common in New Zealand. For those properties that have been acquired in ways other than by sale, the relevant date will be the date the transfer of the property title occurs. If you bought a residential property 1 October 2015 to 28 March 2018 inclusive: the two- year bright-line rule applies. If you bought a residential property on or after 29 March 2018: the five year bright-line rule applies. This means that if you resell within that time frame, again capital gain on resale will be automatically subject to taxation unless you can show that your intention at the time of purchase was not to resell the property. There are some exemptions to the rule. However, all those properties which do not fall under an exemption will be considered subject to taxation. The tax will involve the property gains to be included in your income tax return and the gains will be taxed at ordinary marginal tax rates. The rule serves as a means to ensure that property sales are being assessed and taxed correctly. What are the exemptions to the bright line test? The most common exemption to the test is the main home exemption. Where the property has a dwelling on it, and the owner of the property has lived in it as their main home for more than 50% of the time they had ownership of the property, the main home exemption may be claimed. It’s important to note, an individual can only have one main home at a time, and the main home exemption may only be claimed twice in any two years. Furthermore, if you show a regular pattern of buying and selling property or you are associated with a property dealer or developer, you will not be able to claim an exemption at all. Properties held in trust aren’t exempt from the bright line test either – the main home exemption may only be used if the property was the main home of the principal settlor of the trust. Only if the principal settlor does not own a home and it was the main home of a beneficiary of the trust will the main home exemption apply. How will this affect my residential investment? If you purchased a residential property for the purposes of investment or entered into an agreement to purchase a property prior to October 2015, your residential investment will not be subject to the bright line test. If you are outside of the bright line test, that doesn’t mean you aren’t liable to pay tax. 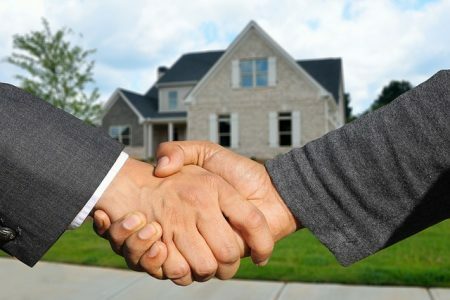 Your intention when purchasing the property is what counts, that is, whether you bought the property with the intention of selling it to make money on it, or whether you intended to keep the property as a long term investment. This is why it can be extremely beneficial to ensure you keep records of your documentation and communications pertaining to the purchase of the property. If you are subject to taxation, you can still claim expenditures relating to the property, such as works you have carried out to increase the value of the property, real estate fees, and more.